Show distance function is corrupted! I understand the app needs to make money but these ads are so freakingly annoying and so often, it’s driving me nuts and away of this app! Helaas een aantal x verlengt, betaald. 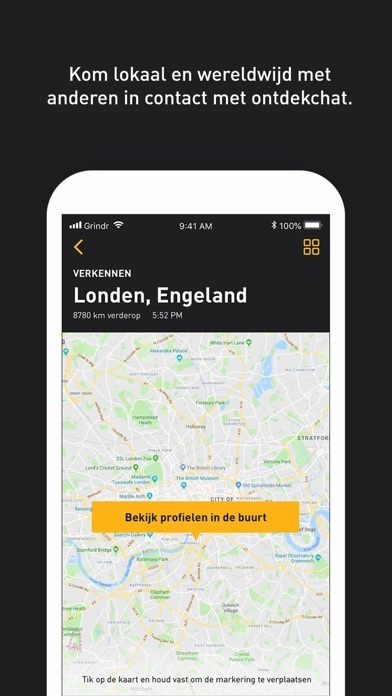 Maar helaas niet gebruik kunnen maken van grindr extra! What to do? I took a subscription a month or so ago and two days ago my profile pic disappeared just like that and attachment pics don’t arrive/get sent. Support desk is as slow as molasses. Not worth the money. I get that Grindr makes money by showing ads, no problems there but please respect the silent mode. When I’m listening to music and open the app the ads are extremely loud(deafening) and annoying. Veel reclame, veel bugs, slechte app! Veeel reclame en als je geen reclame wil dan is het een belachelijk dure app, dan mag je verwachten dat problemen aangepakt worden, niet dus! En veel computers die je aanspreken, wat dus spam is!